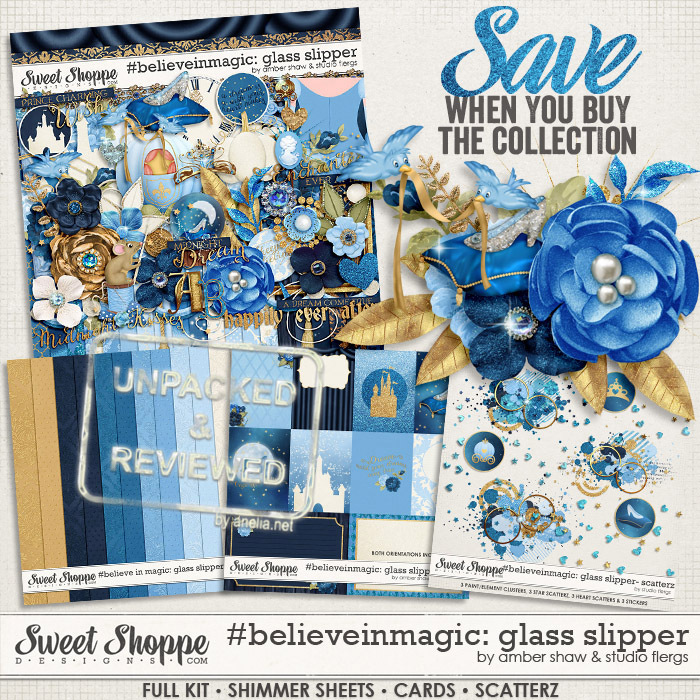 Next up in my digital scrapbooking stash is the beautiful Cinderella-inspired #Believeinmagic: Glass Slipper Collection by Amber Shaw & Studio Flergs. I was truly mesmerised by those beautiful shades of blue and gold and the sparkly stuff just nailed it! The collection was sold to me before I even opened the additional page to see the description and sample pages. With the last year’s release of Star Wars The Force Awakens the galaxy theme was all around us. Kids and adults were going crazy about it! I guess it was one of the most popular party themes as well. That’s why my nephews’ last birthday was also Star Wars themed. I took some nice photos which I had to scrap. 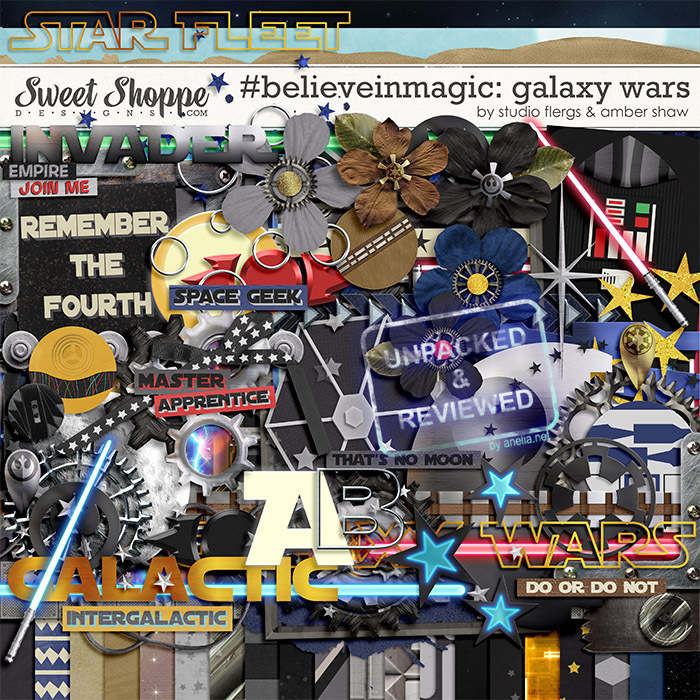 When Amber and Flergs released their #believeinmagic: Galaxy Wars by Amber Shaw & Studio Flergs I knew I’d buy it! That time I decided to buy the kit + alpha pack (not the whole collection) because I knew I’d use the kit for the birthday photos only. Have you ever wanted to know what’s inside a digital scrapbook kit before purchasing it? I know, I know — most of the kits have sample pages but still, things are unclear and some super awesome creative team members can do miracles with avarage products. I am very picky when it comes to purchasing digital products (tbh, not only digital). That’s why I try to inspect as much as I can about a product before making a purchase. Most of the times I am happy with my purchases but there’s times when I am not, and that’s not cool, you know! Author AneliaPosted on July 11, 2016 July 11, 2016 Leave a comment on Nice to meet you! Let’s start!